2015 Annual Report - "Full Speed Ahead"
2015 was a year of growth and exciting changes for Missouri River Relief. We brought on two new staff members with a deep well of talents, worked with new partners on a variety of new projects, and deepened our relationship with many of our old friends along the Missouri River valley from St. Louis to Omaha. We continued to find new ways to introduce people to the Missouri River and give them an opportunity to learn more about this amazing resource and work to make it better. Our dedicated volunteer crew continued to grow and took on new roles in making the organization more sustainable. We added a part-time Event Coordinator, Jen Davis, who has worked to expand our event fundraising and outreach. Our new Education Coordinator Kristen Schulte “hit the ground running” when she started in May and quickly took charge of the projects scheduled for the year. She reinvigorated the education committee, defining an Educational Philosophy that serves as a “compass” to keep our myriad of programs on track. The Educational Philosophy led to the establishment of three core competencies for people to acquire at River Relief events—becoming knowledgeable ecologists, insightful historians and conscientious community members. A crowd-funding campaign on IndieGogo this Spring allowed us to raise $12,186 to begin retiring our high-mileage vehicles and to replace them with a bigger, safer and more efficient fleet. * Living Lands & Waters donated a 4-wheel-drive Dodge Ram pickup truck. * The Hulston Family Foundation awarded a grant to buy a bigger and better box truck. 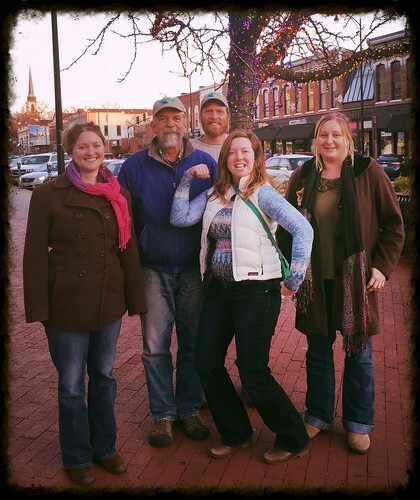 * MRR’s first “crowd funding” campaign on IndieGogo raised money to put us in the market for a 15-passenger van. A HUGE thanks to the generous 127 people who contributed to the cause!!! 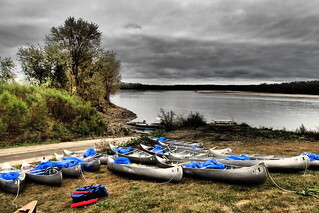 Sixty people launched a flotilla of 20 canoes on the Missouri River in October for our final cleanup of the year. The nimble watercraft moved into shallow areas that were inaccessible to our motor boats. The beauty of the event was the chance for people to take independent action at a large river clean-up and to enjoy a 10-mile paddling trip with stunning fall colors. * Our first River Heroes Gala in Kansas City. The future of river education is looking especially bright after the EPA announced this year that MRR is receiving a two-year Education Grant for $91,000. This is an extremely competitive grant and only 35 awards were given out of more than 400 applicants nationwide. The EPA grant will help expand MRR’s educational capacity by building on the success from past projects. The grant will initiate two Teacher Professional Development Workshops and an annual Missouri River Academy for students in the summer. Brace for lift-off!!! The federal grant also provides a financial foundation for MRR to build a river action network and to host an annual River Rendezvous gathering to unite people who are interested in taking action on their reach of the river. I hope you are as inspired as I am by the community of people working together through Missouri River Relief to make the world a better place. And I hope you are motivated to take action yourself! A Big Muddy Thank You to all of you that helped make this an epic year of working for the Missouri River --we could not do this without YOU. 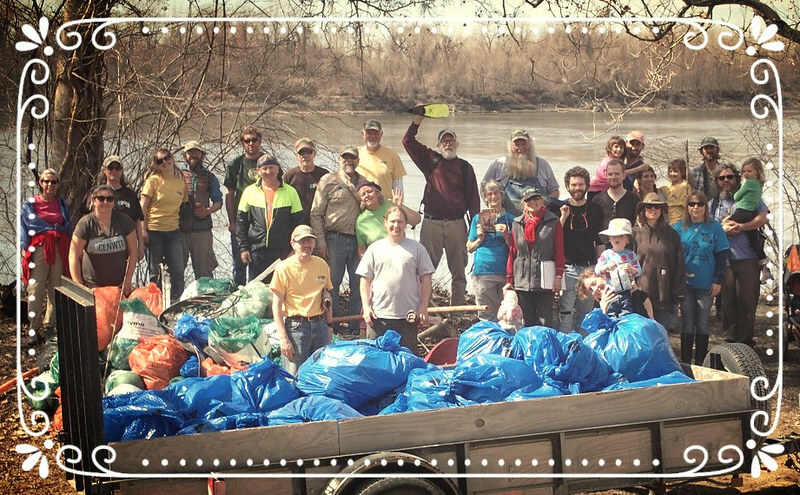 * Provided a safe opportunity for 1,508 Volunteers to remove 41 tons of trash from 57 miles of our Big Muddy river during 21 river clean-ups. * Expanded our education program - in 2015 we provided an unparalleled Big River Education Experience to 21 School Groups and 1,209 Students. * Providing safety boats for more than 700 paddlers traveling 340+ miles in 5 different river races. * Hosted, with our partners, 34 Big Muddy Speakers Series in 3 cities. * Helped introduce 4,650 people to the Missouri River! We continued our cleanup of Mosenthein Island during the Confluence Trash Bash – 58 volunteers removed 4 ½ tons of junk from this beautiful Mississippi River Island. We spent a week in Washington, MO, teaching 197 students about the river and working with a ton of great partners to pull off the best Washington River Festival and Missouri River Clean-up ever. Kristen Schulte joined our staff as our new Education Coordinator. 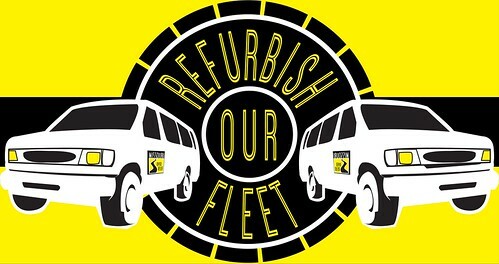 And 127 supporters donated $12,000 to our "Refurbish Our Fleet" crowdfunding campaign. Together with the donations from several big donors, we were able to purchase a box truck, 4x4 pickup and are shopping for a crew van. Our first clean-up at Fontenelle Forest, working in the Omaha, Council Bluffs and Bellevue areas with 168 volunteers cleaning up trash deposited in the 2011 flood. The 10th Annual Missouri River 340 was the biggest ever, with over 500 paddlers racing from Kansas City to St. Charles Missouri Across the state. 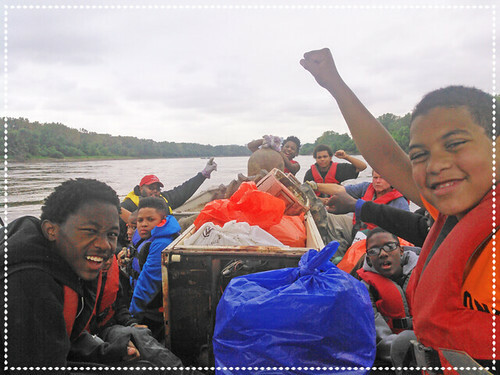 We spent a week on the river with 12 students as part of our Big River Experience Summer Camp. We helped clean up the Meramec River in the Open Space Council's 48th Annual Operation Clean Stream. Busy Month! Huge river clean-ups in St. Charles, St. Louis (Mosenthein Island) and Alton. And the first Fall 36 River Race on the Osage, Missouri and Gasconade Rivers. A beautiful fall with education events and a river clean-up with Healthy Rivers Partnership in Kansas City, a clean-up by canoe on our mid-Missouri home stretch and a campout and clean-up with UMKC SEC students near Missouri City. We hosted our first ever River Heroes Gala in Kansas City and were awarded a two-year EPA Environmental Education Grant. There's a long list of sponsors and partners - they provide the cash and services it takes to mobilize this clean-up effort. From fuel to t-shirts, to reusable water bottles and dumpsters, music to art. It's a community effort. 2015 was Missouri River Relief's 15th year, and it was a great success thanks to you! See you on the river in 2016!